#PA2030, Published by Atari Corp.
Release Date: October of 1990. Initial retail price: In the US: $34.99; in the UK: £29.99. Cartridge: 128k (likely) stereo curved lip-style cartridge. Genre: Top-down vertically scrolling shooter for one player, or two-to-four players using the ComLynx cable. Other Ports: There were no ports of this game to any other systems. Sequels: There were no sequels to this game. Levels: There are six levels, or “Missions,” in both the single and multi-player versions of the game: Level 1-Cadmar Desert; Level 2-Mesort Swamp; Level 3-Docrit Sea; Level 4-Sedimor Domes; Level 5-Mardic Ice; and Level 6-Cedmite City. Carton: Full-color standard-tab regular-size carton (5 3/8″ by 4 3/8″ by 7/8″). 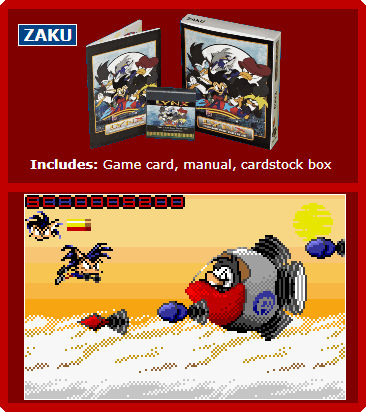 There were also French and Japanese versions of the carton sold, as well as a blister pack. Manual: A 20-page (including front and back covers) stapled regular-sized booklet manual in monochrome, measuring the usual 4 7/8” high by 3 ¾” wide. Languages: As far as I can determine, the manual was available in the U.S. in an English version only. Jasper van Turnhout, also known as Ninjabba on Atari Age, and who released his critically acclaimed homebrew game Wyvern Tales back in May of 2018, has now released a new teaser demo that he has developed for what could potentially become another homebrew title for the Lynx. The demo is called Nomad Rally 2018, and anyone interested in viewing the demo in emulation or in downloading it to a multicard can find it here. Luchs Soft Taking Pre-Orders for Space Battle and QuadroMania! Luchs Soft in Germany is now taking pre-orders for two after-market titles, both to be available on April 1, 2019. Space Battle is a Harry Dodgson prototype (from 2000). It will be available as a single cartridge or two cartridges (for 2-player gaming); both versions will come complete with curved lip-style cartridge(s) inside a full-color carton, along with a manual, poster, and collectible lapel pin. The game can be played by up to eight players using the ComLynx cable. The other game, QuadroMania, was discovered in 2013 by Alex Thissen, a.k.a. LX.net (who provided high-res scans of his hand-drawn Slime World maps here) and who released a very limited run of 20 copies of the game in 2017 through Beta Phase Games. Now, Alex has secured permission from RPM Software (Robert Maidorn) to market a new run of the game through Luchs Soft; it will also come complete with a curved lip-style cartridge inside a full-color carton, along with a manual, poster, and collectible lapel pin. Who Doesn’t Want a Funky Xmas? In other homebrew news, Martin Wendt, Xamil Wolnikowsky, and Bruno Moraes, known collectively as PriorArt, have also released a new homebrew demo for the Atari Lynx; this one is entitled Funky Xmas 2018. Rabid Lynxters may recognize Wendt and Wolnikowsky as two of the developers of the eagerly anticipated upcoming homebrew game Lacim’s Legacy. A zip file of this new demo can be downloaded here. “Atari Lynx Hint Book”, published by Atari in 1993 for Lynx game developers; tips and hints for Zarlor Mercenary can be found on pages 68 and 69; how to access a port of John Horton Conway’s 1970 classic “The Game of Life” Easter Egg can be found beginning on page 70. B & C ComputerVisions: The price lists systems at B &C crashed on 8/3/18 and they have still not been restored, as of this recording date. The Goat Store: None Available. Click here if you’re interested in ordering from Luchs Soft. Click here if you’re interested in ordering from Songbird Productions. Click here if you’re interested in ordering from Telegames. Thanks go to everyone who contributed feedback about Zarlor Mercenary for this episode: Bobby Tribble, Curtis Herod (Cujo), Eugenio (TrekMD), Scott Tirrell, and Shinto; I really appreciate it! Also, I would like to thank the Free Music Archive for the following musical artists and songs that were used in this episode under the Creative Commons License: “8-Bit Core” by Tagirijus (opening and closing theme music), along with “Dawn of the Cosmos,” “Howling Down,” “An Innocent Sword,” “Knowing Nothing,” “Lion’s Haven,” and “Waterfalls,” all by Mid-Air Machine. 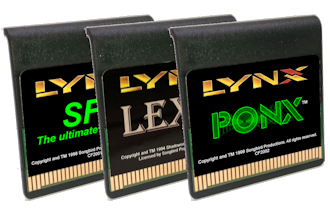 I would especially like to thank Shinto for submitting his memories of various Atari Lynx games he’s owned in the past to The Atari Lynx HandyCast…they are greatly appreciated. And you should all check out Shinto’s wonderful Atari Jaguar Game by Game Podcast; it’s definitely worth listening to, even if you’ve never owned a Jaguar. You can find it here. Many, many thanks also go to Zerbinator for his continued support. His encouragement and expertise are very much appreciated by me. You can find all of his fun-to-listen-to podcasts here, including my favorite, Please Stand By. Finally, my thanks to Ferg of The Atari 2600 Game by Game Podcast. His inspiration and dedication to covering every game cartridge ever made for the Atari 2600 (I think over 1000 of them!) is what gave me the courage to begin this podcast. Please, check out his don’t-miss podcast, even if you’re not an Atari 2600 collector; or at least visit his website here. 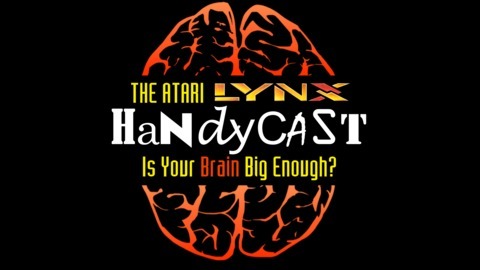 I hope you enjoy this episode of The Atari Lynx HandyCast. 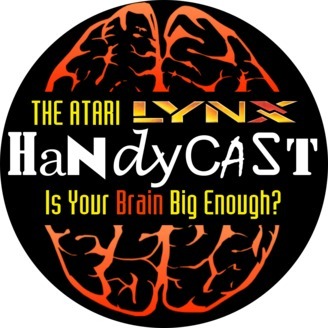 And please don’t forget to visit the official Atari Lynx HandyCast website by clicking here!